When her father loses the family fortune it looks as if Celeste Hart's family will be ruined. Unless she or one of her sisters is willing to marry their distant relative, the Duke of St. Feylands, a terrifying figure the sisters have nicknamed "the Beast." Neither of her sisters is willing to go live in the St. Feyland's scary castle so it falls to Celeste to make the sacrifice and visit the man who will be her husband. With his cantankerous temper and harsh manner the duke seems determined to make her life miserable... and it becomes even more so when he introduces her to the charming Earl of Greenfield. 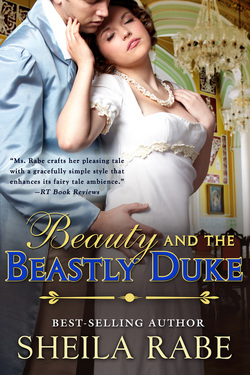 The Earl is everything that she's ever dreamed of, but she has come to care for the duke and feels honor bound to marry him. Balls, new clothes, new beginnings... can any of it lead to a happy ending? Maybe, if this beauty can tame a certain beast. Could the handsome highwayman about to relieve Miss Susan Montague of her pearls be Edmund Morris Worthington, the long lost Duke of Grayborough? Her aunt, Lady Harriville, is sure of it and she wants Susan to turn Dickie White, highwayman, into a gentleman so he can be introduced to polite society. It will be easier to prove Dickie's claim to the title than to transform him into a member of the upper class. But that's not Susan's only problem. She's finding it almost impossible to resist his charms, because the highwayman is out to steal her heart. 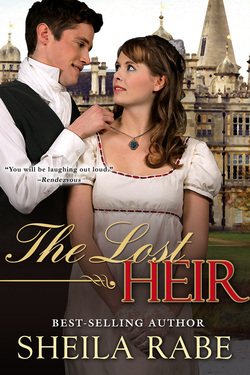 It was half admirable match, half good deed when the dashing Lord Dorset married his wife. Summoned abroad shortly after to spy for the crown, he left behind his shy wife and didn't give her another thought. That was a mistake. Little did he know she would turn into a beauty while he was gone. Or open a scandalous gaming hell to pay for her cousin's social debut. Now his dependents are run amok, his good name is at stake and so is his marriage. He's fallen in love with his wife, but can he win her away from the rakehell suitor who wants her? It's going to take more than a little luck. Can a tumble down the stairs end in a happy holiday? Diana Colby, Countess of Chesterfield can't see anything merry and bright about the holidays. Her husband Maxim has taken up with a ballet dancer and broken her heart. 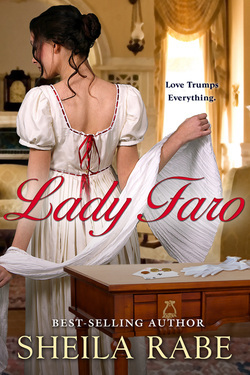 Even though other upper class husbands take up with light skirts she never thought hers would. She thought he loved her. Maybe he still does. His concern when she takes a spill down the stairs and hits her head inspires a case of amnesia. Can her sudden forgetfulness jog her husbands memory and make him remember that he loves her?